Nothing can be more disheartening to a nation that has been promised revolutionary changes since 1986 than to have those promises broken – and every so often at that for the last two decades. 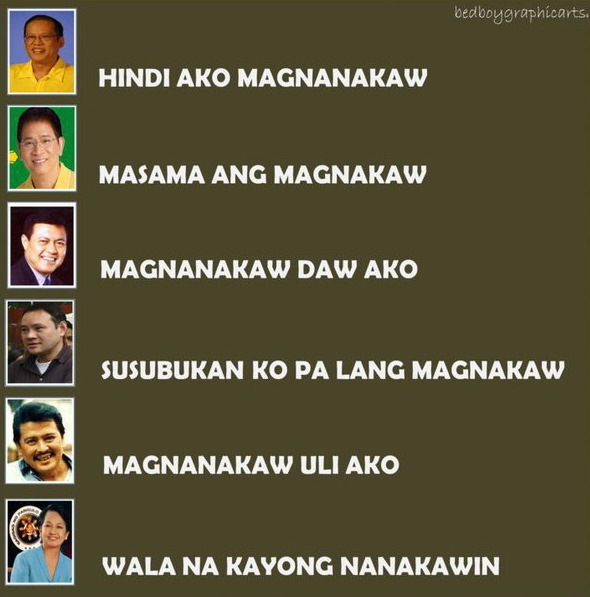 After the Marcos era, we’ve had a disappointingly (though not quite unexpectedly) lackluster line-up of would-be-saviors whose words either hardly ever translated into meaningful changes or just surreptitiously materialized in the form of half-baked, compromise-peppered gestures aimed at pleasing whatever major vested interest happened to be present at the time of consummation. We’ve also resorted to casting our lot with showbiz celebrities in the oft mistaken notion that their altruistic silver screen personas would translate into incorruptible heroism in the real world. Unfortunately, nobody ever seems to be able to convince those making the career move that scripts in the political arena are fiercely formulaic and that producers and directors are even more cutthroat (some literally) than those found in showbiz. It doesn’t help either that most politicians are actually better at acting than actual actors themselves, so it’s been largely hit and miss with this option. But then, once in a while, somebody does surface to shatter conventional molds in order to provide real alternatives to the status quo. Case in point: Satur Ocampo.